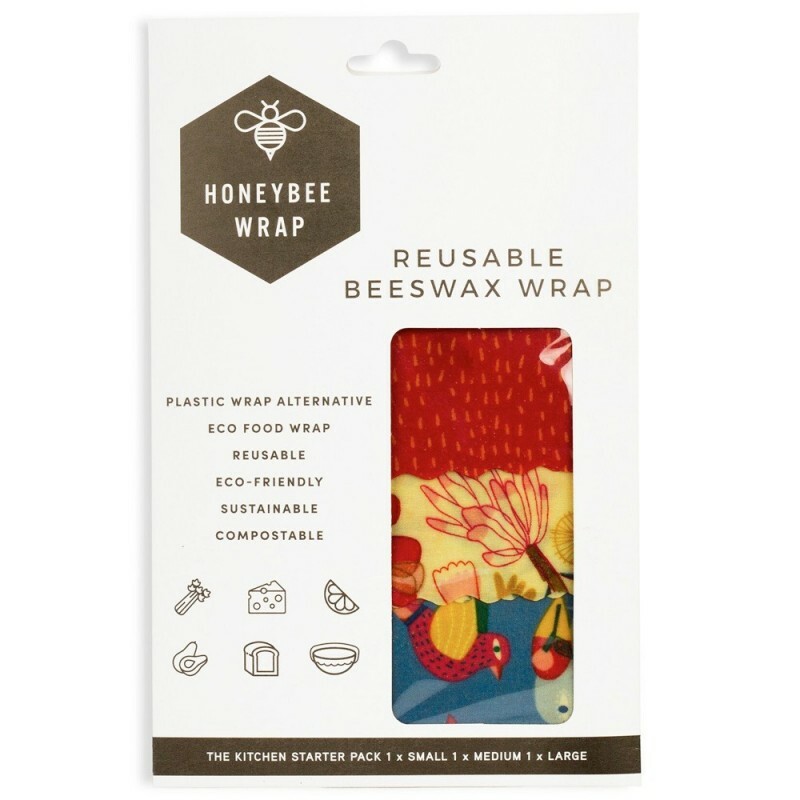 Honeybee beeswax wraps are a reusable plastic free alternative to keeping food fresh. Handmade in Byron Bay, NSW. Set of 3 wraps. 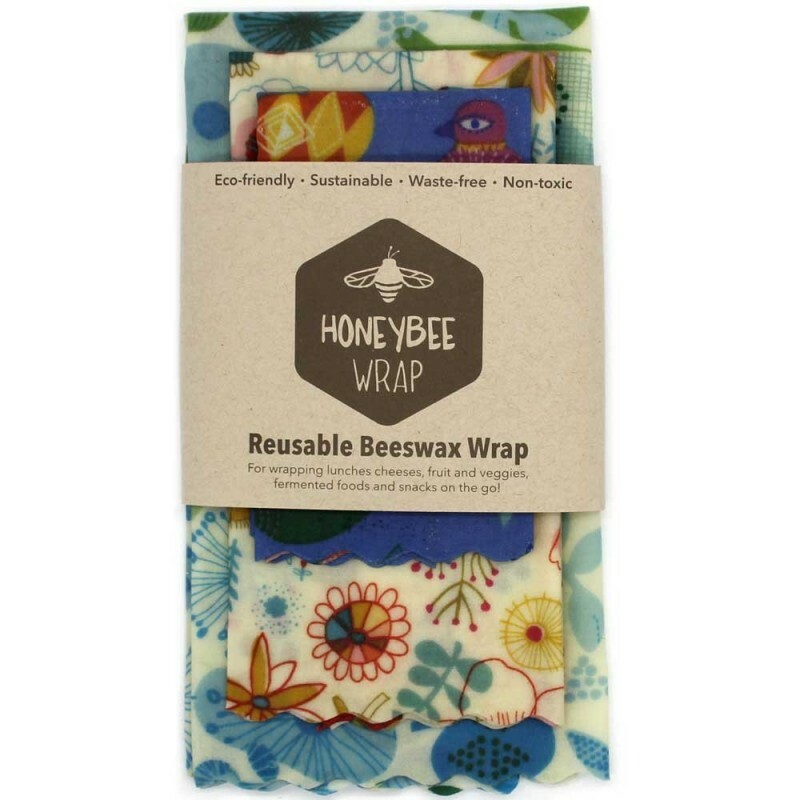 Please note that the lovely Honeybee prints are random and your wraps may look different to those picutred. 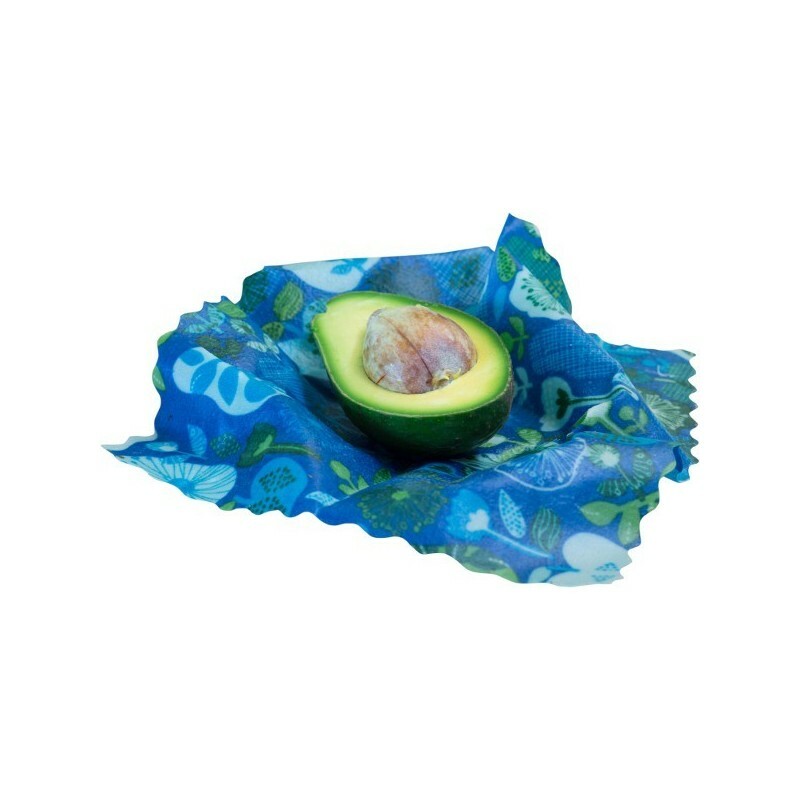 Honeybee food wraps are a waste-free, plastic-free, reusable and non-toxic way to store food. 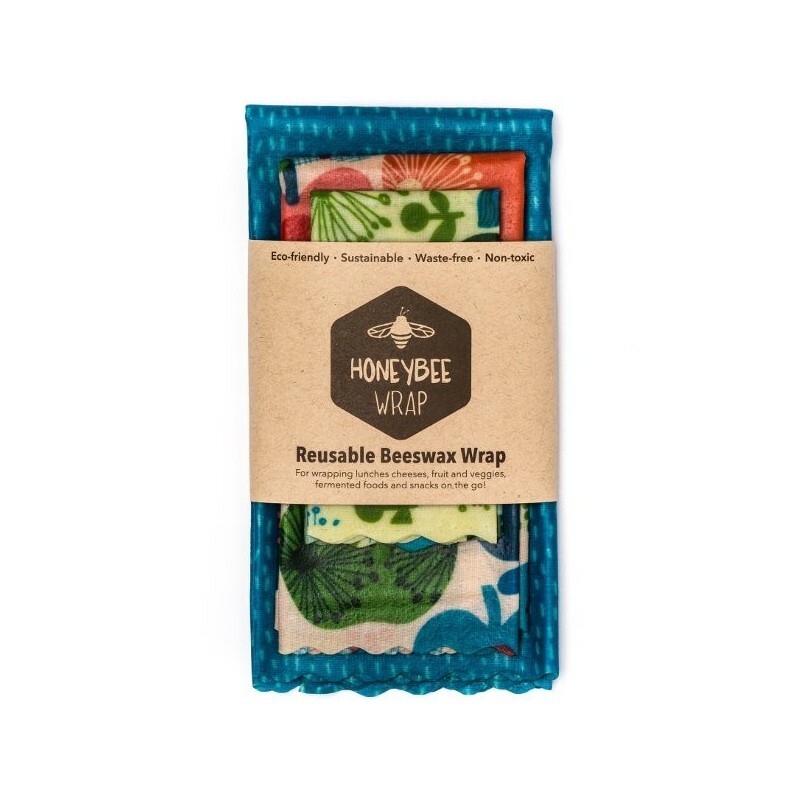 Honeybee beeswax wraps are made with 100% organic cotton infused with a special blend of beeswax and oils to create a flexible, slightly sticky and naturally antibacterial wrap for storing and packing food. 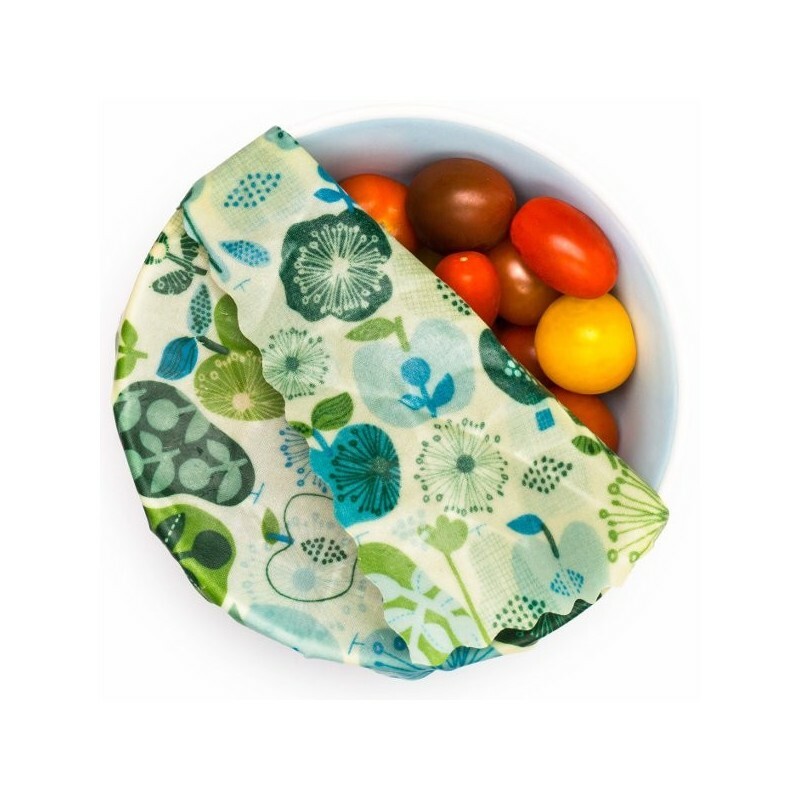 The kitchen starter kit includes 1 x small, 1 x medium and 1 x large food wrap. 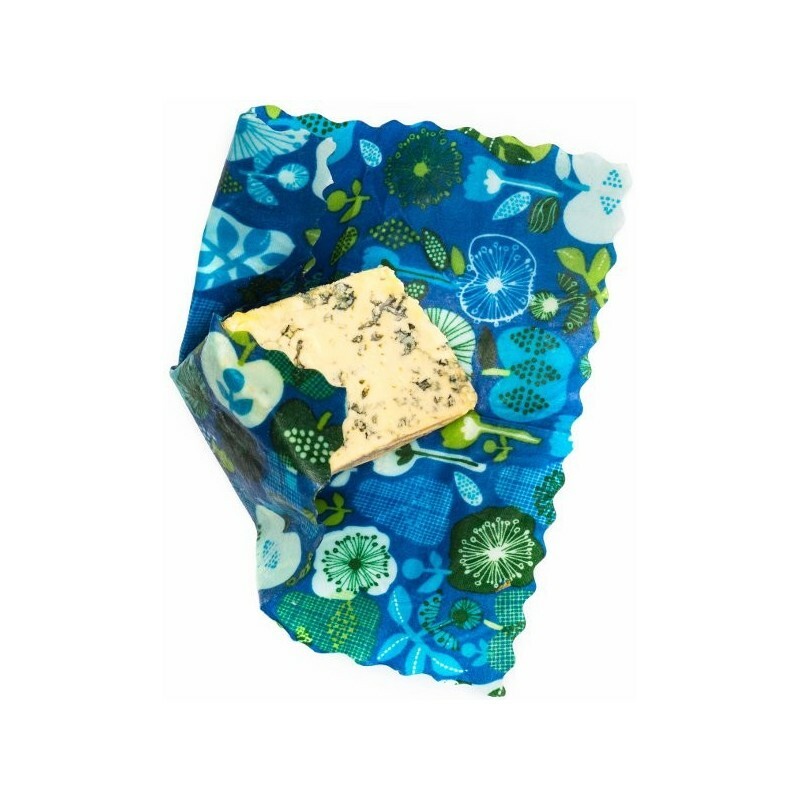 The wraps can also be cut to size to suit your needs. Handmade in Byron Bay, NSW by an ethical small business. such an easy earth friendly change to make. easy to use, they look great and can be composted when finished with (although they last for ages!!). highly recommend! I actually think they work better than cling wrap and they're chemical free, gotta love that. have only used the largest one so far.